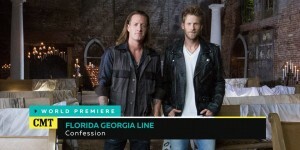 A big congratulations to Florida Georgia Line on taking home the Vocal Duo of the Year award at the CMA’s last night and to add to the excitement even more, their brand new music video for Confession premieres today on CMT Canada. From FGL and everyone on the team, thank you. The continuing support from all of the fans is what makes this all possible.